It is a easy to make recipe and don’t get scared by seeing the list of ingredients. We are going to grind all together as a paste in a blender and going to prepare this dish super easy South Indian way. It is not the type of Punabi Dum Aloo or Kashmiri Dum Aloo dish. 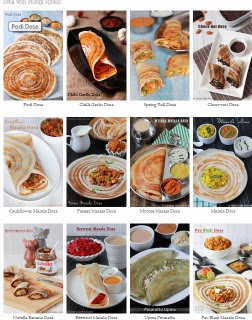 The taste and the flavours are purely South Indian. You can get the smell the curry leaves dominating in this dish. This dish goes well with all types of rotis and parathas, and rice. In a blender jar add coconut, onion, ginger, garlic, turmeric, chilli powder, coriander powder, garam masala powder, pepper, fennel seeds, cinnamon, cloves and cardamom to grind as a fine paste. Pressure cook the potatoes on medium flame till 3 whistles till soft. For very small baby potatoes cook till 2 whistles. Cut the potatoes in to two pieces. Prick them suing a toothpick or skewer. Heat oil in a pan and shallow fry the potatoes till lightly golden crisp on outside. 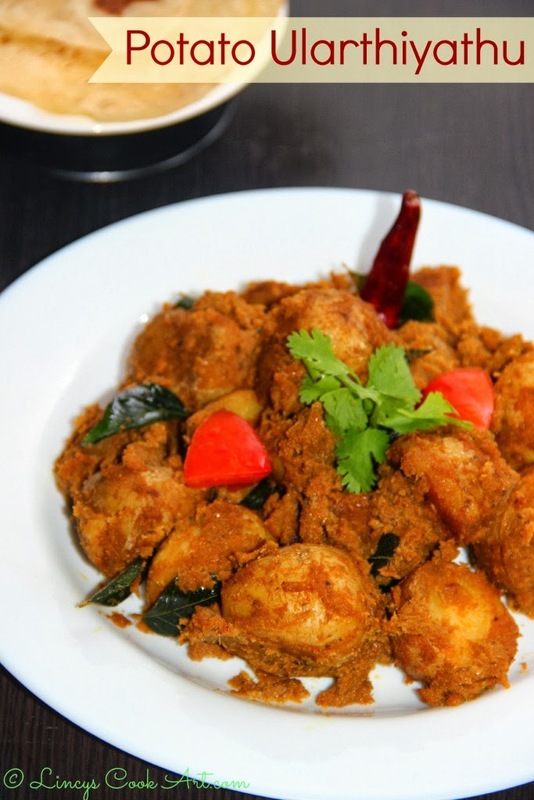 Heat two tablespoon of oil in a pan and add the potatoes with the ground masala. Sprinkle some water around ¼ cup and mix well. Close with a lid and allow to cook for five minutes on medium flame. Now open the lid and allow the water to dry out from the masala. Add two teaspoons of oil and curry leaves and mix well and cook 5 minutes more till the water dries out with the masala cooked and browned well while starting to gets the smell of the roasted curry leaves. Now switch off the gas and serve. Inviting dish and wonderful clicks. wow that an flavorful potato roast love the name :) perfect with roti's , such an tempting curry dear !! Lincy, dish is looking so delicious..wish to try it soon..